Stop unbearable winter itch from dry skin in its track this season with a non-greasy solution from Curél. Hydra Therapy Itch Defense Wet Skin Moisturizer is designed to be applied in the shower at the peak of your skin’s moisture while giving you a boost of hydration in half the time. 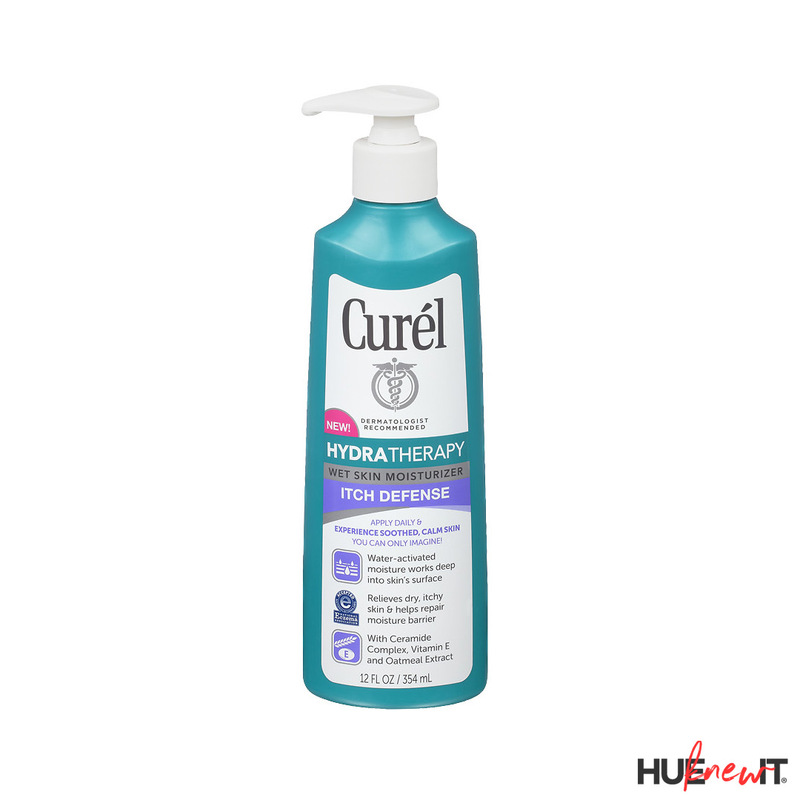 Curél Hydra Therapy Itch Defense Wet Skin Moisturizer is a water-activated formula that penetrates deep into your skin to provide all-day moisture with zero drying time. It immediately absorbs into your skin leaving it feeling soft, smooth, and seriously hydrated. A revolution in wet skin technology, Itch Defense does more than simply calm, smooth and soften, it also heals dry skin and restores your body’s ability to retain its own much-needed moisture.This highly effective moisturizer contains water-activated properties that penetrate deep into skin’s surface. so you achieve soft, healthy skin for life. I’ve never used anything like this before. My first inclination, like most was to dry myself off and then apply moisturizer. Itch Defense saves so much time, but moreover, really does keep the moisture in as described. This is a total must-buy people!